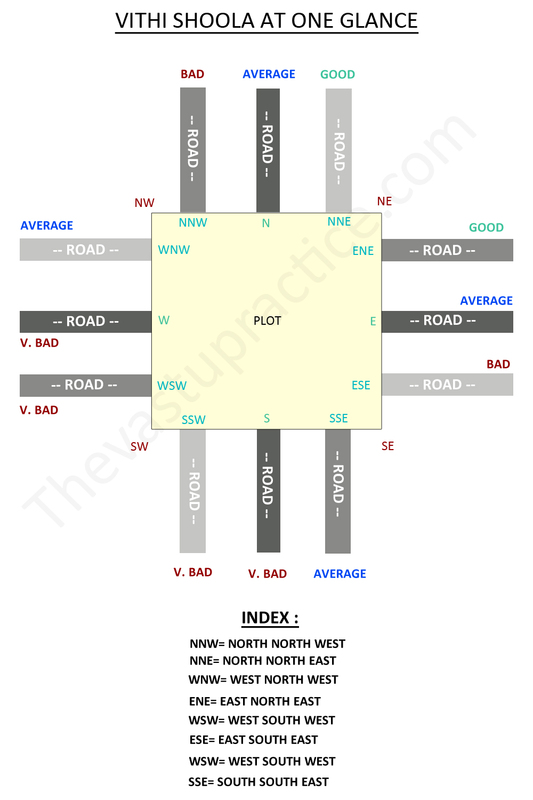 In Sanskrit Vithi denotes road and Shoola denotes arrow. 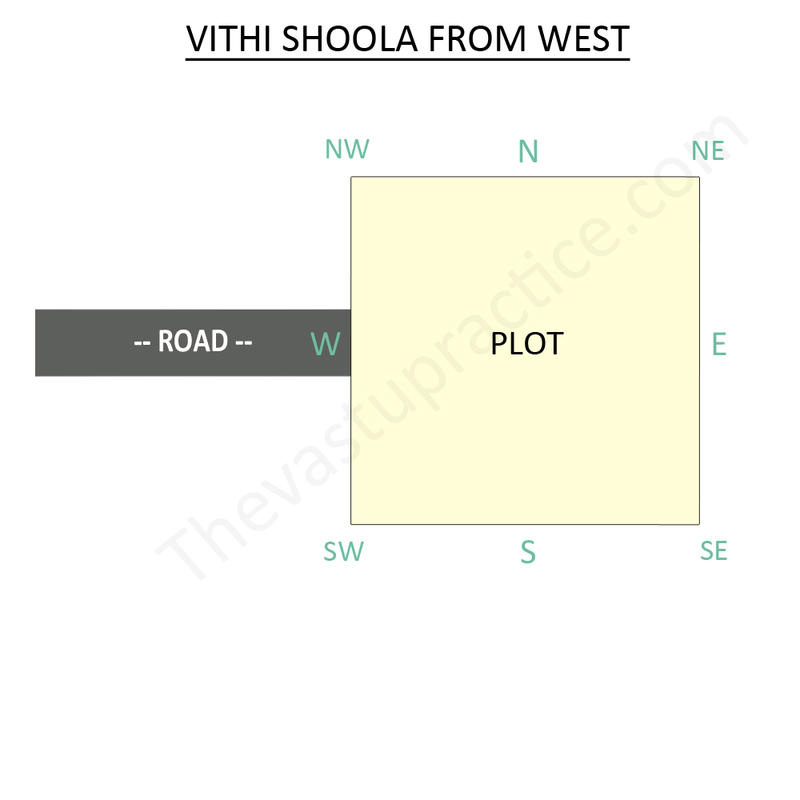 VithiShoola is the name given to roads or lanes that run into the face of the plot from different directions. These roads thrust concentrated energy of enormous potency into the site. This energy can be positive or negative depending on the direction from which they come. 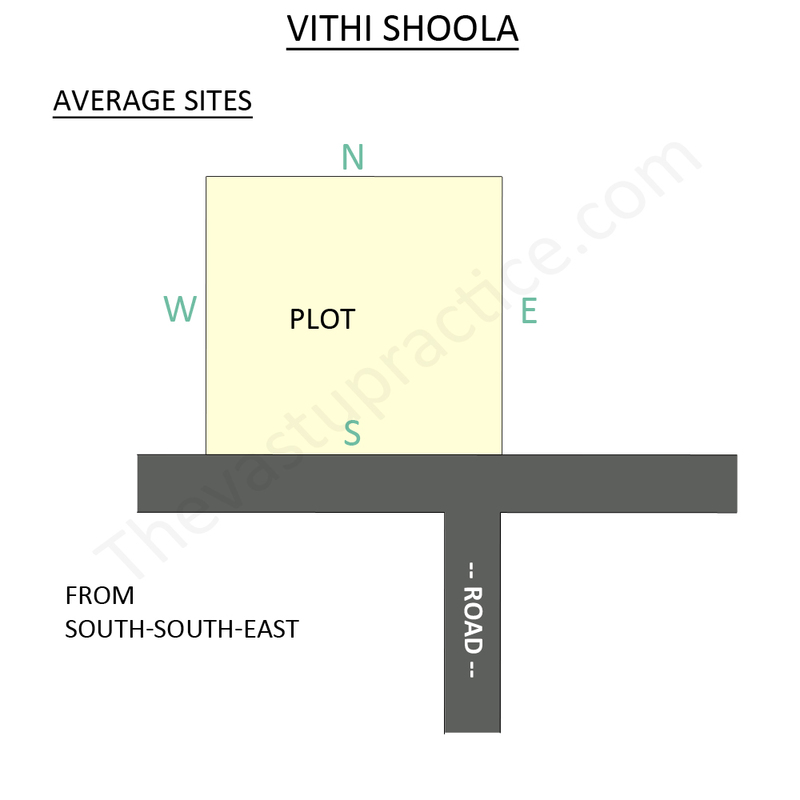 Scholars are divided in their opinions about VithiShoola. 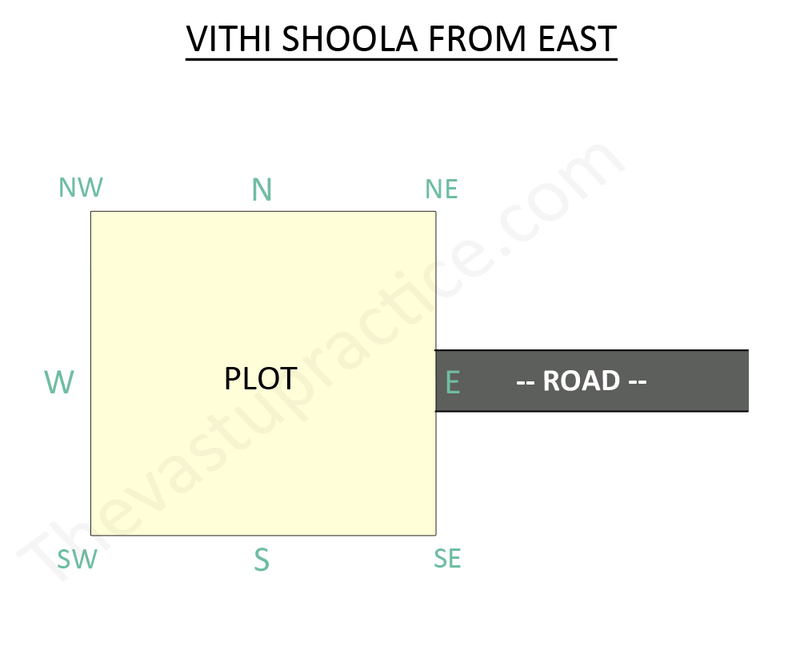 Some believe that a VithiShoola from source zones ie North, North-East and East creates a positive result. However others believe that an arrow from any direction is bound to create wounds. Most modern scholars agree that a VithiShoola from North-North-East and East-North-East lead to good results for the residents of the house. 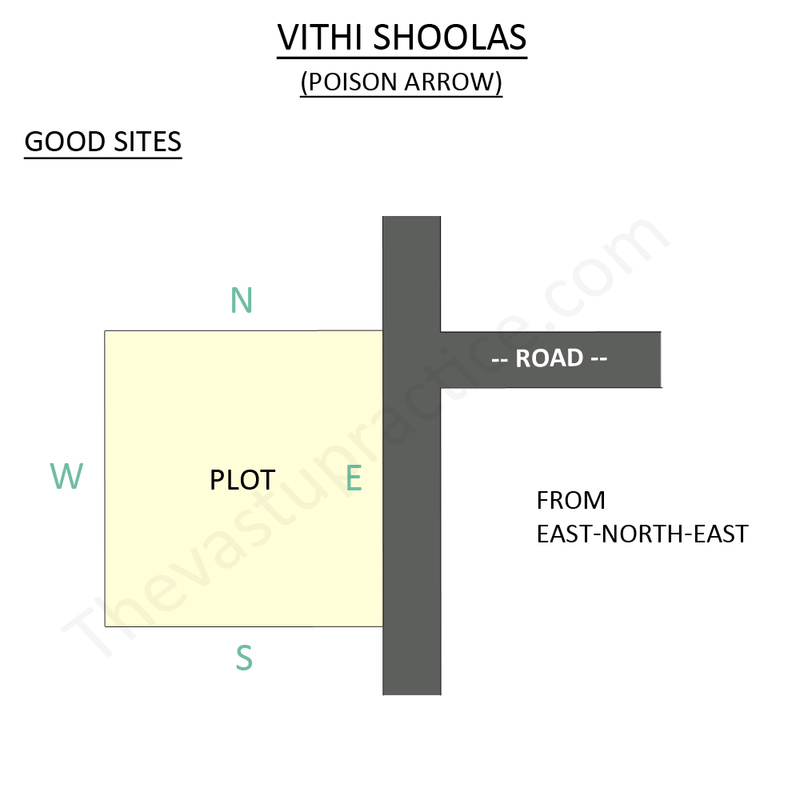 Given below is a drawing showing VithiShoolas and their effects at one glance. 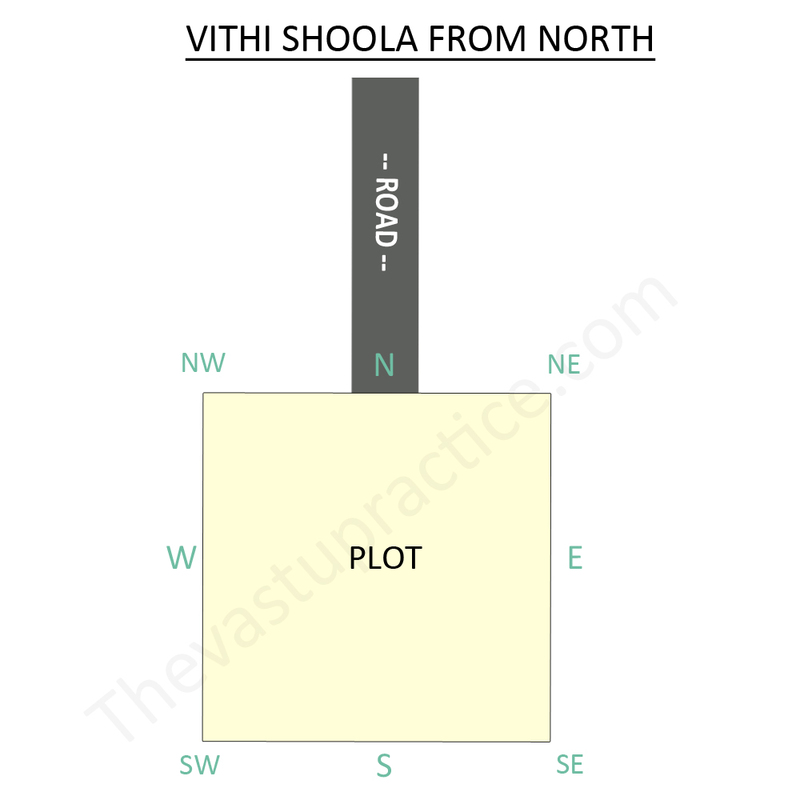 VithiShoola from North-North-East and East-North-East are considered good sites because they give name fame and prosperity to the owner of the plot. 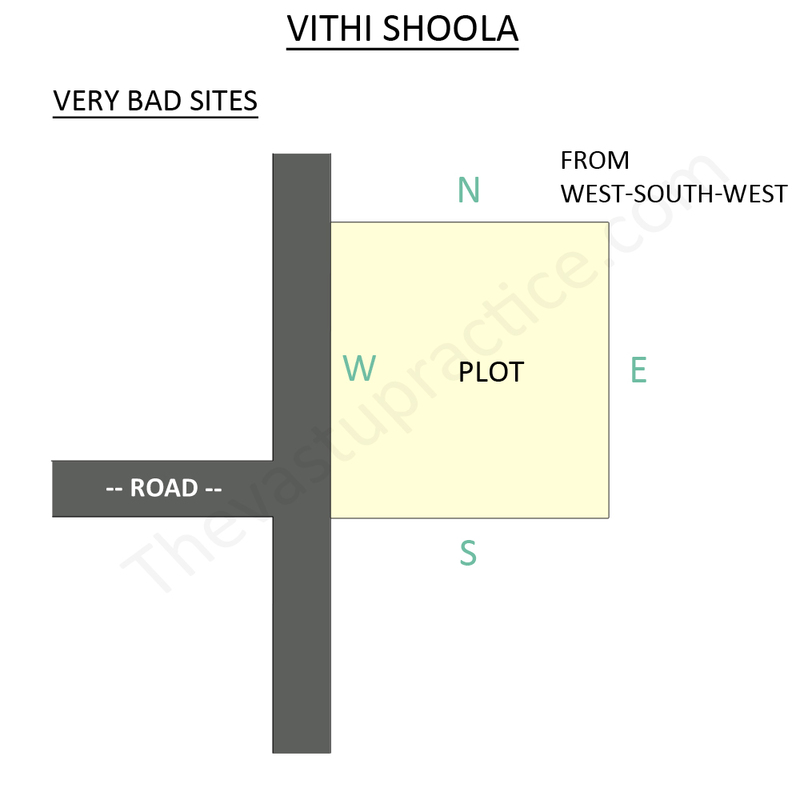 Vithi shola from South-South-East is an average site because though it brings financial prosperity it does not create good relationships. 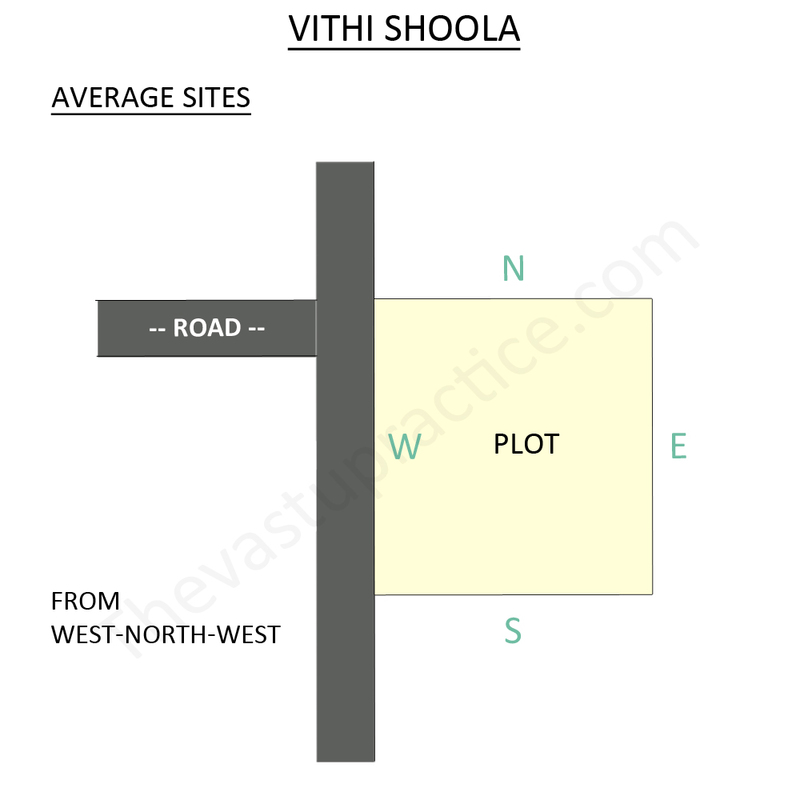 VithiShoola from West-North-West is an average site. It leads to disagreement between family members and mental disturbances. VithiShoola from North-North-West is a bad site. It leads to business losses, marital disharmony, disagreements and quarrels between family members. 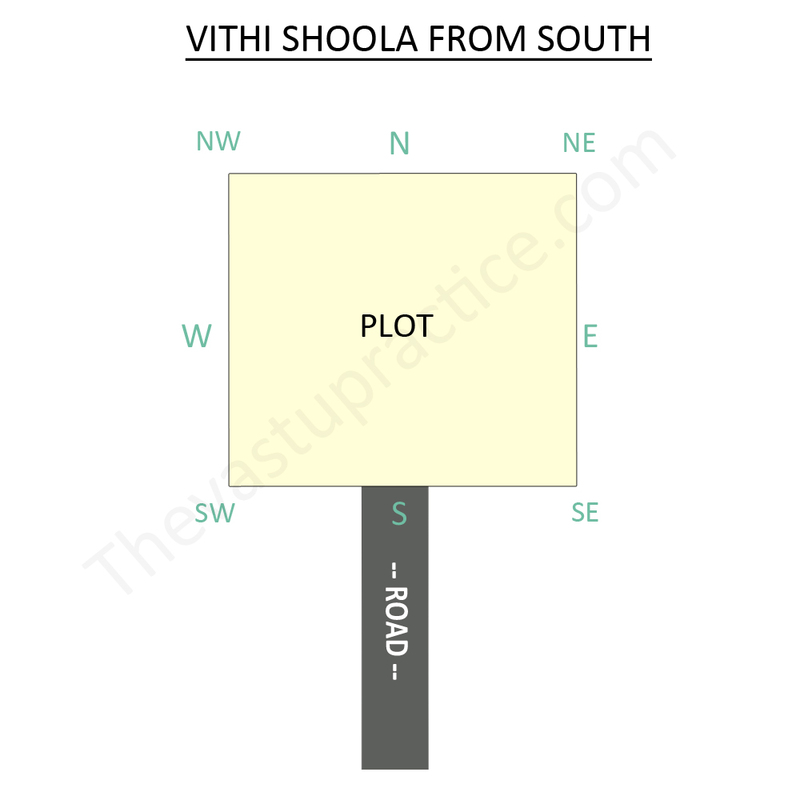 VithiShoola from East-South-East is a bad site. It leads to financial losses, legal problems and destruction of the family. 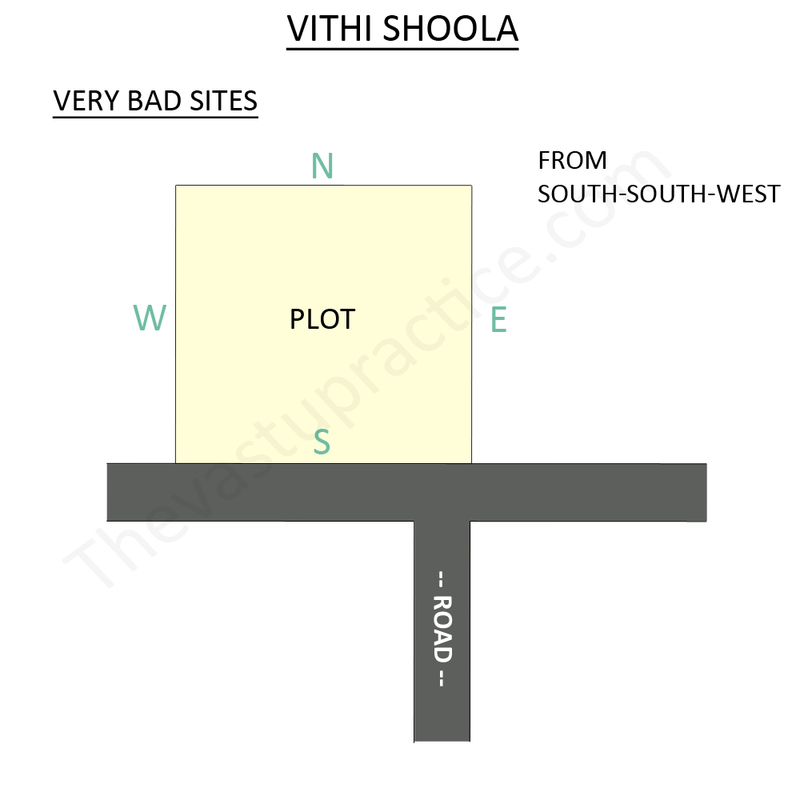 VithiShoola from West- South-West is a very bad site. It results in bankruptcy, marital disharmony, mental imbalances and eventual destruction of the family. 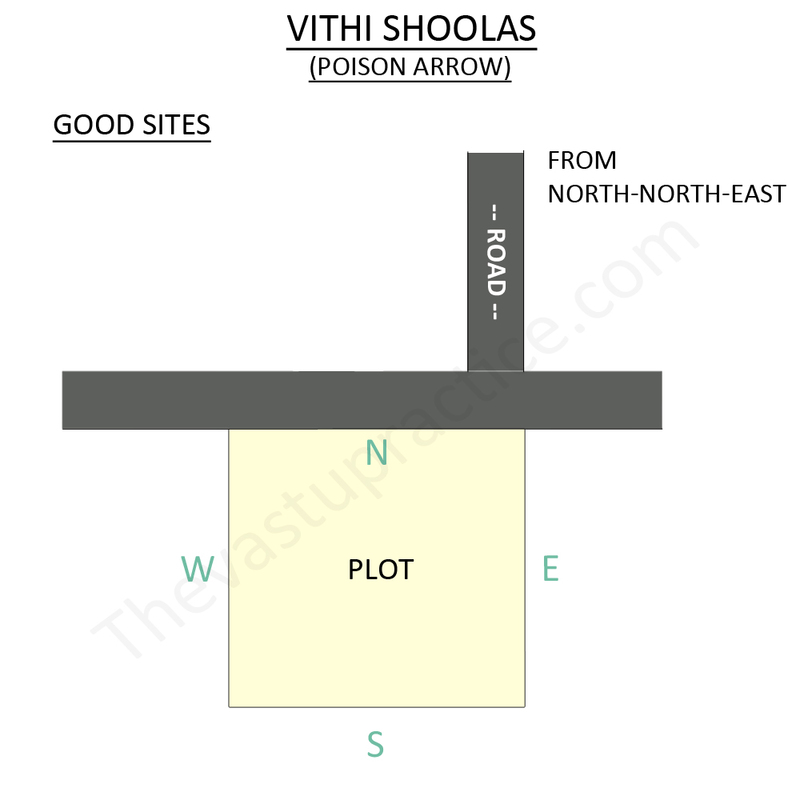 Vithi- Shoola from South-South-West is a very bad site. It leads to bankruptcy and destruction of the family. 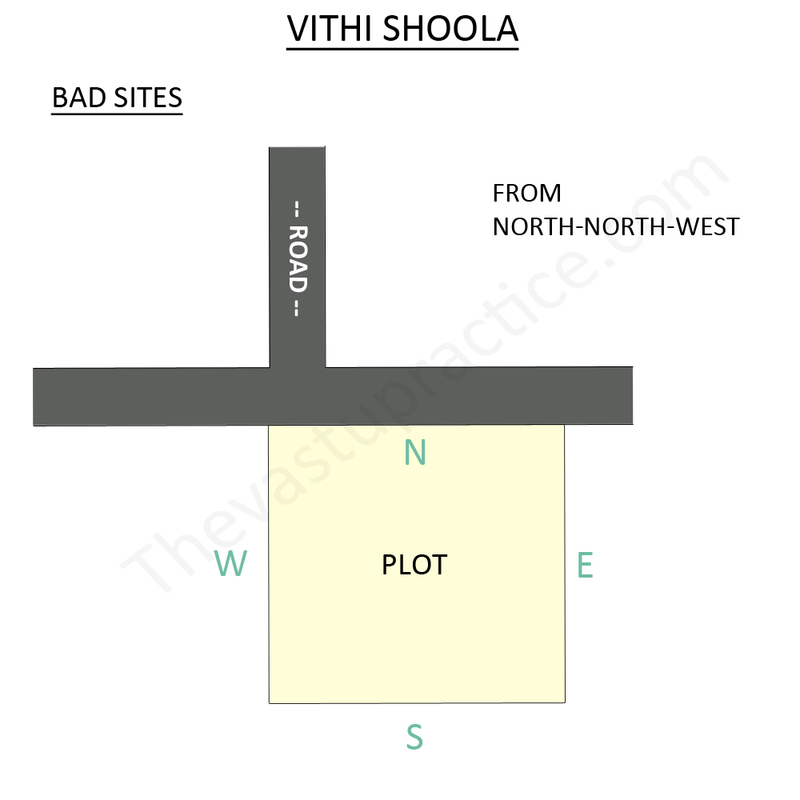 Vithi-Shoola from East is a bad site. It may lead to loss of sons since the East is the source of energy represented by the Sun. This VithiShoola also leads to immorality and inhuman characteristics of the residents. VithiShoola from South is the worst. It leads to destruction of the family, bankruptcy and mental breakdowns. 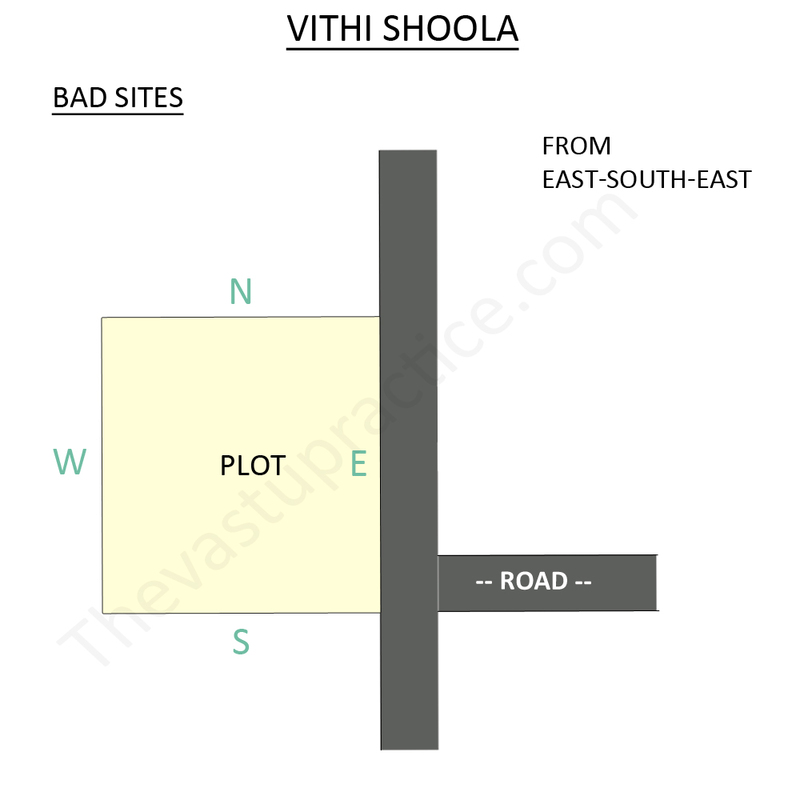 Vithi-Shoola from the West is a bad site. It leads to defeat, disagreements and mental imbalance. It particularly disturbs marital life, partnerships, leads to loss of court cases and eventual destruction of the family. VithiShoola from the North is an average site. It is comparatively with the least faults. The residents will be over religious in nature and become impractical. This will lead to problems in daily life.